The purpose of Flagstaff C2E is to link water conservation efforts of individuals with local enhancement projects that preserve natural resources, promote water efficiency, provide educational opportunities and build community. 100% of the donations made to Flagstaff C2E go directly to fund water conservation projects in Flagstaff, minus a PayPal processing fee (2.99% + $0.30). Donations can also be made in person at City Hall where there is no processing fee. The Flagstaff C2E Board of Advisors decides how to disperse those funds to community project applicants. The Board is currently in the process of revising and refining community project criteria and application materials to inspire greater water conservation in our community. We have an inspired and enthusiastic board representing partner organizations around Flagstaff, and are currently in the beta-testing phase of the program. Current donations and gallons saved as result of C2E are shown on this page. Create an account to learn all about water conservation tips and easily track your savings. 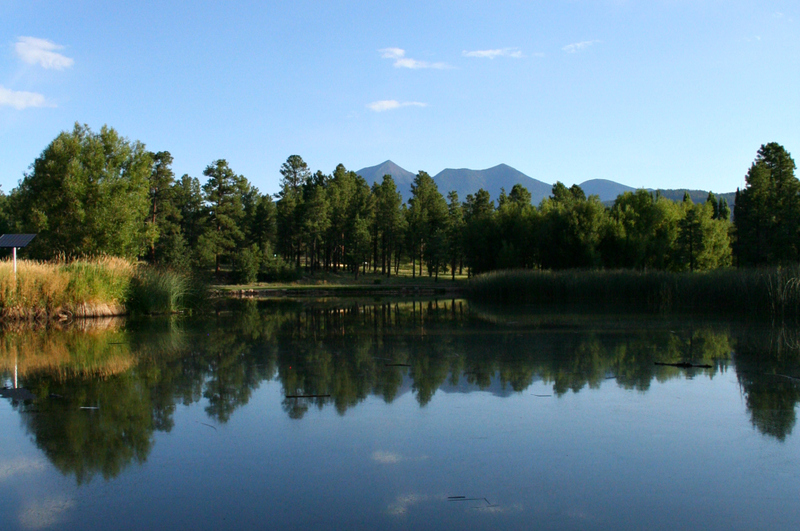 The monetary savings generated from water savings can then be donated to watershed enhancement projects in Flagstaff. Both residential customers and local businesses are welcome to participate. Great news! Our first pilot project was a success - The Water Conservation Volunteer Day was held on Wednesday, September 26th, 2018 from 4-6pm at Terra Birds' site at Ponderosa High School (2384 N Steves Blvd). We helped by addressing landscaping needs around an existing rainwater tank to a roof-catchment cistern, as well as directing flow from the tank to maximize efficiency. This website is maintained by Conserve2Enhance for general educational purposes only and information obtained from this website does not constitute official record of the City of Flagstaff. C2E has made every effort to ensure the accuracy of the information provided, however inadvertent errors or omissions may have occurred. Please contact the City of Flagstaff Water Conservation office at (928) 213-2116 or go to our Water Conservation webpage for more tips, or the Flagstaff Billing Services page for questions about your water bill.